Just What Is The Museum Mile? There's little doubt you've at least heard the name Museum Mile before. Whether you've lived in the city for a length of time of just started trying to rent an apartment in Manhattan, the nickname for this stretch of Fifth Avenue, covering 82nd Street to 110th Street on the Upper East Side, is synonymous with the culture and luster that this part of the city brings. It's more than just a mere collection of art and history, though. Museum Mile means something, represents a particular fabric of the city the way no other part of it can. To find out what that is, let's delve into this area in its several intricacies. 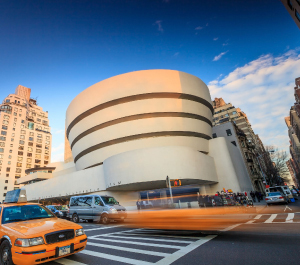 "Museum Mile is located in the Carnegie Hill neighborhood on the Upper East Side, and is named for a concentrated group of museums along Fifth Avenue from 82nd Street to 105th Street (soon to be extended to 110th Street)." "Some of America’s most famous families have made their homes on the Upper East Side: the Roosevelts, Kennedys, Rockefellers, and Carnegies were all real-estate pioneers in the early 1900s and developed the neighborhood into a beautiful and posh place to live." "The Upper East Side is starting to shed its Sixth Sense 'I see dead people,' while retaining its grand roots. The Upper East Side is the only real authentic New York neighborhood left in the city." And you'll see that reflected in the Museum Mile. Sure, the museums make it upscale, a true cultural marvel, but the surrounding area brings in a dash of additional character. Both close to Fifth Avenue and blocks away, you'll find a variety of fine shops that, in many cases, could be considered affordable by almost any metric. The inclusion of new choices for food and drink have infused elements of once-cooler portions of Manhattan into what was, at one point, a clichéd snapshot of affluence. "Philanthropic gestures made by the moneyed classes over the past 130-odd years have helped to create the impressive cluster of art collections on Museum Mile." Today, the area has a welcoming ambiance, and just as surely as you'll see the touches of wealth that kicked off the Museum Mile's creation, you'll also find subtler touches like street vendors, scattered about, and the neighboring Central Park that provides a near-immediate respite from the high-class airs of the city streets. "Established in 1978 to increase public awareness of its member institutions and promote public support of the arts, the festival has served as a model for similar events across the country." "In addition to all the art to see inside, there are plenty of outdoor festivities: face painting, chalk drawing, live music and other block-party-type events." No cars, since the area is blocked off for the festival, just a chance for city residents to come together and enjoy in their history and shared culture. It's about unity, and checking out videos from this year's festival show just what a success it was. You can see the joy in the children in attendance, the passion from performers that lined the streets, and the camaraderie present in everyone who came out in support. This is what living in NYC is all about. It's good to see a community showing so much love, and the tradition, hopefully, will continue for years to come. Not just any apartment, mind you. For the full majesty of the Upper East Side, one offering, Renoir House, stands head and shoulders above the rest. This extravagant property represents the finest in New York City living, with a slew of positives that make it one of the best around. There's the location, for starters, which puts it within striking distance of all of the neighborhoods biggest hotspots. Then there are the residences themselves, perfectly reflecting contemporary style. You can't forget about the building's many fine features, which breathe convenience into every aspect of living here. It's the pinnacle of Manhattan modernity—take a look, and see for yourself.